EA575 wrote: There will also be a tournament in May. Although, if it is true, It looks like DIMPS are trying to clever and make the tournaments every three months, much like how they are every three years in the manga. I doubt anybody got that inside joke/reference. It seems as though the Japan will be the nation to take part in the tournament too. If it can keep up momentum for just a few more weeks, BT3's "gold standard" of 4.02 million copies would be in reach. I'm not sure if Tenkaichi 3 sold as well as what Vgchartz says it did. Based on all official sales figures it sold less than Tenkaichi 2. Budokai shipped 3.5 million. That's the most copies a DBZ game has shifted. This looks to have done 2 million so far. Really? That's strange, normally when I hear about DBZ games sales wise, I usually hear that BT3 was the best selling game in the Tenkaichi series, as well as the second best selling game after Budokai 1. I'd honestly rather have XV2 in spring 2017 or X-mas 2017. I feel if it's in 2016 there wont be much improvements and will be rushed. Yeah that's what I'd always heard too because that's how Vgchartz has it. According to official reports though that doesn't seem right. All three Tenkaichi games came out at the same time, they all had their fiscal sales revealed at the end of March. Tenkaichi sold over 1 million copies in just US and Europe, Tenkaichi 2 sold 1.18 million copies worldwide and then Tenkaichi sold 1.04 million copies worldwide so was the worst selling over the same period in time. It also for a fact sold considerably worse than previous games in the series had sold in Japan. Whereas Tenkaichi sold 532,000 copies on PS2 and Tenkaichi 2 sold 423,000 copies on PS2, Tenkaichi 3 sold only 282,000 copies on PS2. It makes no sense for Tenkaichi 3 to have somehow gone on to far outsell the other games when each game had been steadily selling less and less since Budokai, especially when it came out at a time when the new consoles were out and most people were starting to leave the PS2 behind AND another DBZ game came out only 7-8 months later (Burst Limit) AND the series was fully finished by that time. So either Tenkaichi 3's sales are way too high or the others are way too low and I'd say it's a combination of both. Psycho50501 wrote: I'd honestly rather have XV2 in spring 2017 or X-mas 2017. I feel if it's in 2016 there wont be much improvements and will be rushed. If NB wants to have X2 released next year, then at least they should put it at the very end of that year, like late November-December, cuz them just releasing games every damn spring now is scary and like you said, it'd be more broken. PRINT Kanzenshuu: "There's a site, too?!" I don't why, but what you said VegettoEX reminded me instantly of Inspector Gadget. 2... million... copies...?! This has to be a dream! DBZAOTA482 wrote: 2... million... copies...?! This has to be a dream! And those figure were last recorded by the end of March. I'm pretty sure the sales must be near 2.5 million by now. I think this sort of information should go specifically in this thread. I think I'm going to change the thread title up for that. There will be more games in the future and there's a lot of infomation that's been given for previous games in this thread so maybe I could turn this into a general video game sales thread rather than making additional threads in the future and having to find all the information all over again . Here's how Extreme Butoden compares to other games on handheld. So very good sales. I haven't been following the game but to sell over twice the amount of copies as it's predecessor on week 1, I'm guessing it has to do with the current DBZ resurgence. Location: Somewhere in the good ol' Midwest. Yep, it holds up well in comparison to the others. Bullza wrote: Here's how Extreme Butoden compares to other games on handheld. Man, why did Origins 2 do so poorly on the DS? It's a really great game and one of the best handheld DB games ever released, in my opinion. Maybe mixed word of mouth and poor marketing. That's most likely why Origins 2 didn't sell so well. Extreme Butoden seems to be really cool. Glad to hear it making more than the double of the first one. Now that there's going to be a new Dragon Ball series which will not only bring fans back to the franchise and possibly bring in new fans but it will give the series new characters and story arcs and surely locations and transformations so I imagine that sales will pick up big time for the games. 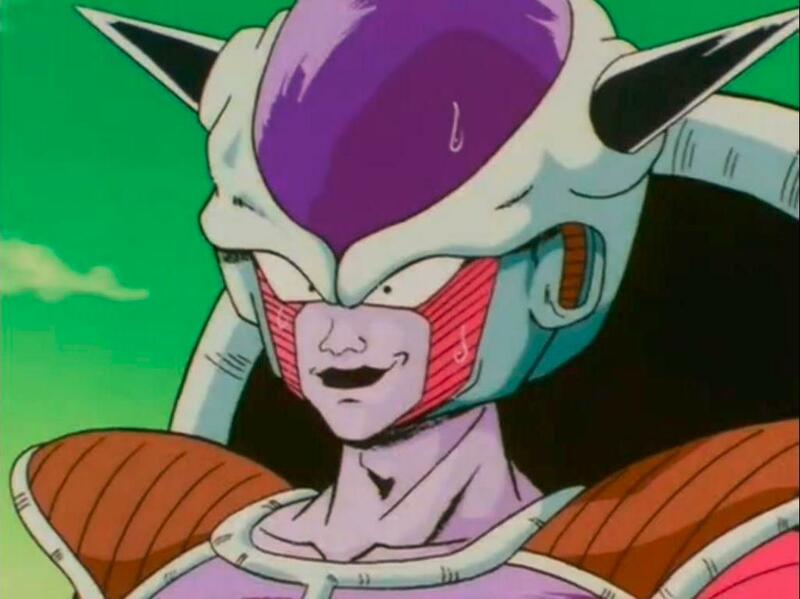 If Xenoverse 2 does come out in a couple years and can incorporate all this new material from Super into the game for the first time and the game see's improvements in general then I don't see why it couldn't sell even more copies than the last one. The franchise has really kicked off again since Battle of Gods and they could be on to something really good here as long as they don't screw it up.